Invite your contacts to use Encrypted Communication. Encrypted Communication needs to be set up on both ends to work. Encrypted Communication will only work if bot ends habe set up their devices and own a key pair. If your contact hasn't set up Encrypted Communication yet, you can invite him to do so. In your inbox, click Settings. Enter your contact's e-mail address. Confirm by clicking Send Invite. 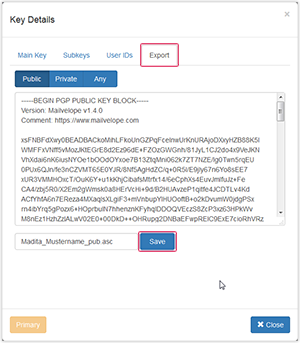 You can use Encrypted Communication with anyone using up to date PGP software. Start by sending your public key to your contact. 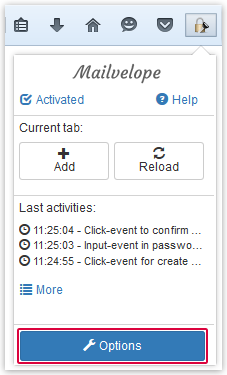 Click your browser's mailvelop icon and hit Settings. Open the settings Show Keys section and click on your Key. Switch to the Export Tab and click Download. The downloaded file ("pub.asc") holds your public key. Send this file as an attachment to your contact. Ask him to do the same by sending you his key as an .asc file. Save your contact's .asc file on your computer. Click your browser's mailvelop icon and hit Settings. 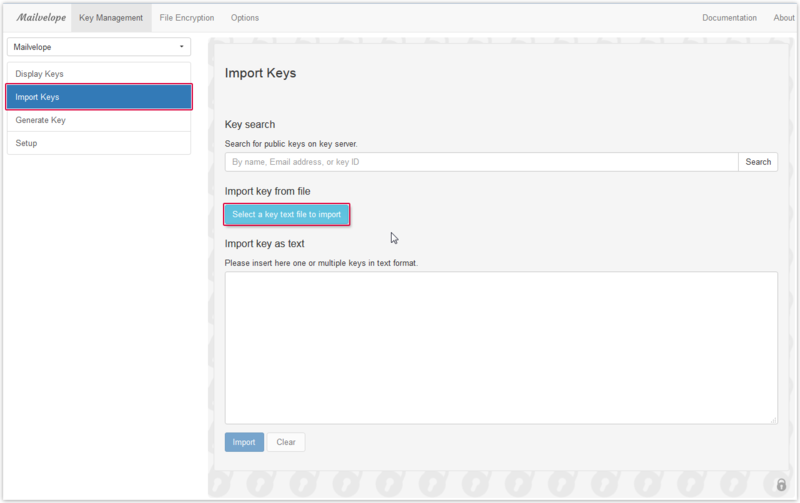 Open the Import Keyssection and click Select Key file for import. Select your contact's .asc file and click Open. Your contact's public key will bei imported. 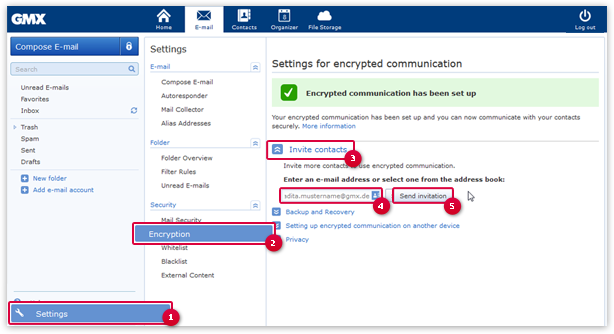 You now can compose and send encrypted e-mail to other contacts.